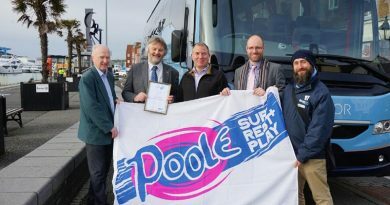 To help develop the tourism offering of Bournemouth’s coastal areas this summer, Bournemouth Coastal BID has announced a partnership with the iBournemouth app. Bournemouth Coastal Business Improvement District has announced a partnership with the iBournemouth app to help develop the tourism offering of Bournemouth’s coastal villages this holiday season. Launched in 2017, the iBournemouth app is designed to provide Bournemouth’s visitors and residents with information on Bournemouth-related events, offers and news, all a click away. Bournemouth Coastal BID has now partnered with Business Events Bournemouth, the creators of the iBournemouth app, to develop the app even further. The new updates include a range of events, offers and useful information from a variety of Coastal businesses across Boscombe, Southbourne, Westbourne, East Cliff, West Cliff and more. The technological tool is aimed to aid both visitors who wish to discover the town’s attractions, as well as for residents who want to stay up to date with what is going on in Bournemouth. With an average of 7.7 hours of sunshine during summer days, seven miles of sandy beaches and 2,000 acres of parks and gardens, Bournemouth is one of the hottest vacation spots in the UK. Over seven million tourists visit the sea-side town every year, contributing with over £500 million to the local economy. To find out more or download the new iBournemouth App, visit: www.businesseventsbournemouth.org.uk/support-services/mobile-app. You can also connect via social media; Facebook (@bournemouthseasons) Twitter (@bmthseasons).